Didn't they make one in '92 too? That one was nice. I'd like one, but than again you can just buy the Roland pickup kit. Actually, now that I think about it, do normal RG's even have enough room between the bridge pup and the bridge for the Roland pickup? issit? any idea which model was tt in '92? ive been combing the net for someone who might jsut offload one of those. i don't really like the look of the whole roland pickup kit, abit too bulky. not really sure abt the space or how it works though. Not tried with an RG with a scratchplate, and you need to cut off one edge of the pickup surround. Oh forget it. I saw a '92 RG1200 on eBay a while back with a Roland pickup on it, so for some reason I thought they came like that! So there wasn't a '92 Roland ready. My bad. I still would like to see a Roland ready RG. They said it was factory, so that's what put me off. +1. I'm loking for one if anyone has one for sale. All I have is my JCRG21A, and a GK3 mounted to my RG20062 I would like to try one that is built into the bridge. nice! how did the synth thing sound. similiar to gk3? I've had both Ibanez Roland Ready Guitars, RG420GK, and RG1520GK. 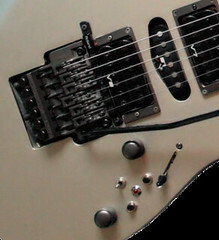 The 420 has the GK pickup, while the 1520 has LR Baggs piezo's in the Edge Pro. In my opinion, the 420 worked better with VG Products, vg8, vg 88, vg99, while the 1520 works best with midi converter units, GI 20, GR 30 etc. There were 2 J custom models also that utilized the gk pickup. I sold my 420 a few years ago, but wish I hadn't. 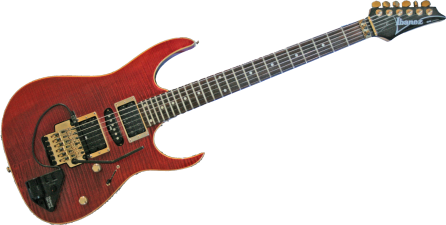 I would NEVER part with my 1520, as the edge pro with piezo's is nearly impossible to find, and the Ghost piezo saddles will NOT fit in the edge pro, (but they will fit in an original edge, like on the jem and satriani models). The latest Roland unit the gr 55 combines a VG system, (virtual guitar) with a GR SYSTEM, with internal COSM MODELS of guitars, amps effects, and synth patches, along with MIDI out. I hear that it tracks as well with either the gk pickup or piezo saddles. opinion. 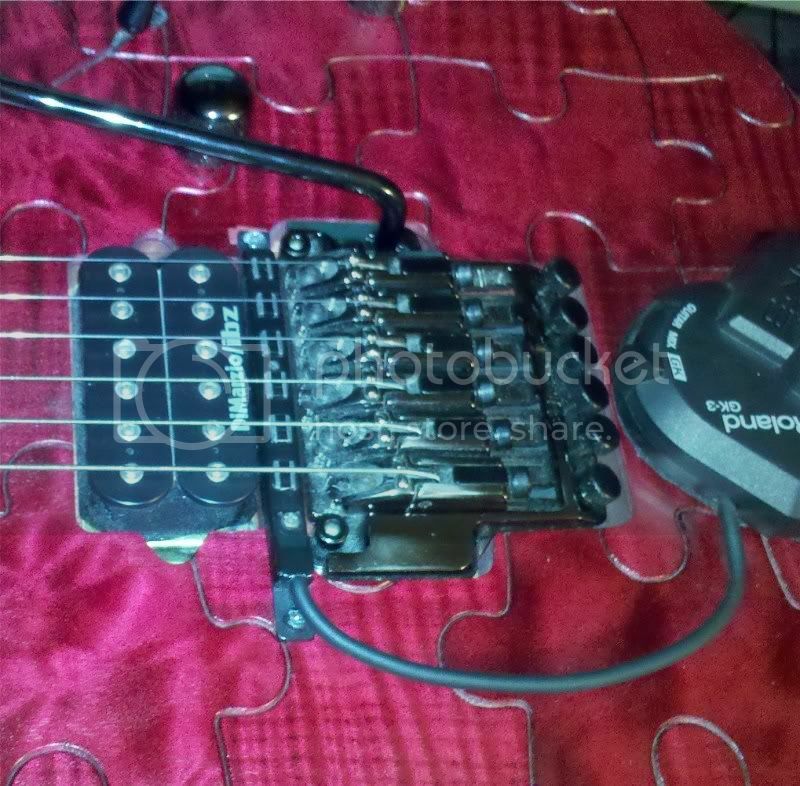 I am working on removing piezo's from the Graph Tech Ghost Floyd saddles, and installing them in an edge pro bridge. I've been looking into the gr-55 and I'm tempted....severely tempted. Would have to decide which guitar to put the gk-3 pickup on as well. Guy at the local GC said he put one of a Dan Armstrong plexi model and that must be a sight to behold. 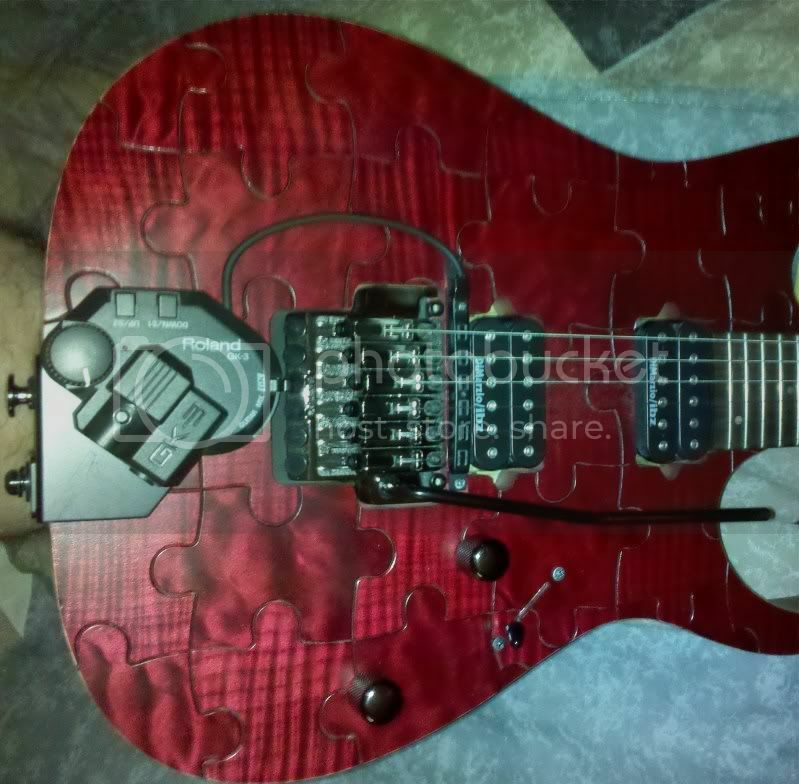 I have an rg1520bp-gk that I'm interested in selling. I bought it in 2005 and it's in great condition. A few nicks in the paint, however I have had them touched up. Also, I have replaced the stock pickups with Dimarzio Breeds. Send me a PM if you are interested or want more info. I can't post my email address because I have only recently signed up. I live in Australia, so be warned, there may be freight costs involved. Last edited by TheTranslator; 09-22-2011 at 11:54 PM. original Ibanez Wizard neck or Prestige Wizard.